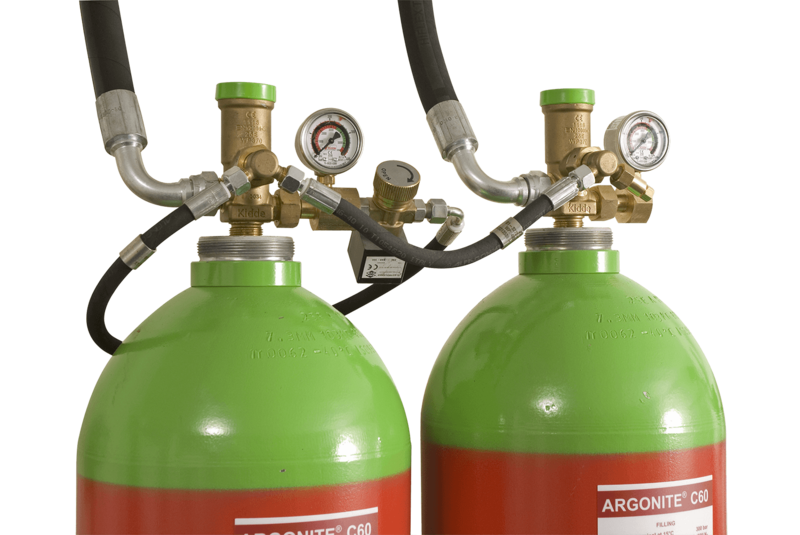 Gaseous suppression is a term used to describe the suppression of fire using specialised gas. This kind of suppression system is required in closed areas where water sprinklers can not be used, such as in archive rooms, server/data centres museums clean rooms. Gaseous suppression system can be set to be automatic or manual as per user preference. The system consists of the control panel, the detection equipment and the agent storage cylinder. 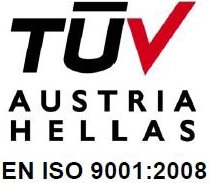 In that way when the detectors, such as smoke or heat detectors, detect smoke or heat, the first stage of alarm is triggered informing the user to take action on the control panel. The user can manually release the agent to be discharged or cancel the discharge process if he decides that is a false alarm. If no action is taken and the second zone of detection is triggered then the agent is discharged automatically. There are mainly two categories of clean agents: the chemical agent and the inert gas range. Using a different principle, both agents can achieve the suppression of a fire condition in a closed area. 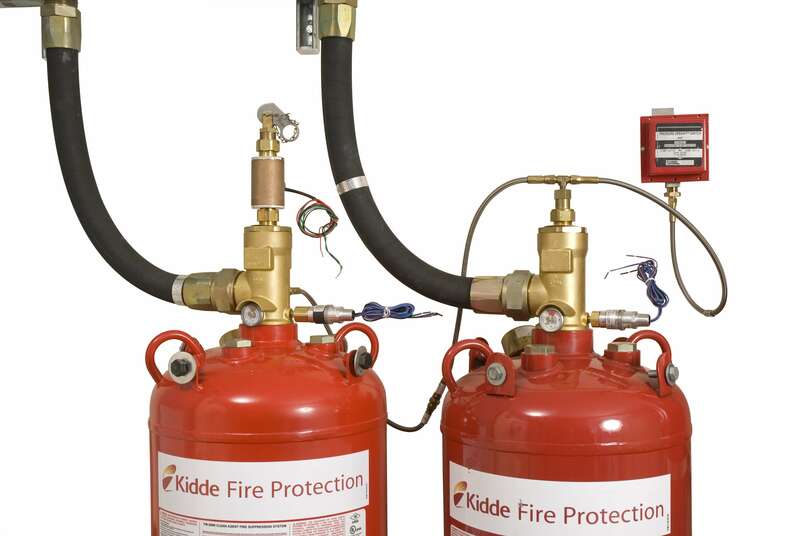 KEEPER Security has more than 20 years of fire suppression installation and maintenance experience. 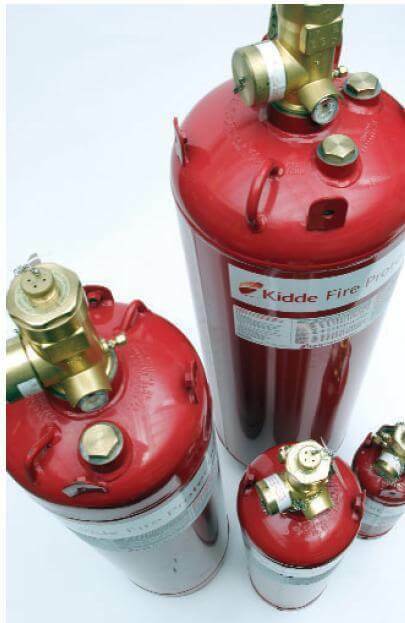 We are able to offer all the different types of chemical and inert range gasses in industrial, commercial and special hazard applications. They are stored in liquid form in low-pressure cylinders of 25-42 BAR and become gas when the discharge takes place. Clean Agent systems extinguish a fire quickly removing the heat by breaking down the molecular structure of the fire. Available gases for suppression Argonite, IG55, Inergen. They extinguish a fire by reducing the oxygen content within a room to the point at which fire can no longer burn, but without compromising the safety of individuals present. It will not decompose or produce any by-products when exposed to a flame from a fire situation.